Hey all, just to inform you that I have quit Club Penguin. I just don’t have the intrest in it anymore and I need to keep up with my real life friends and school. So sorry to those of you that I have let down.. Here are the Club Penguin cheats for the August-September 2008 furniture catalog. 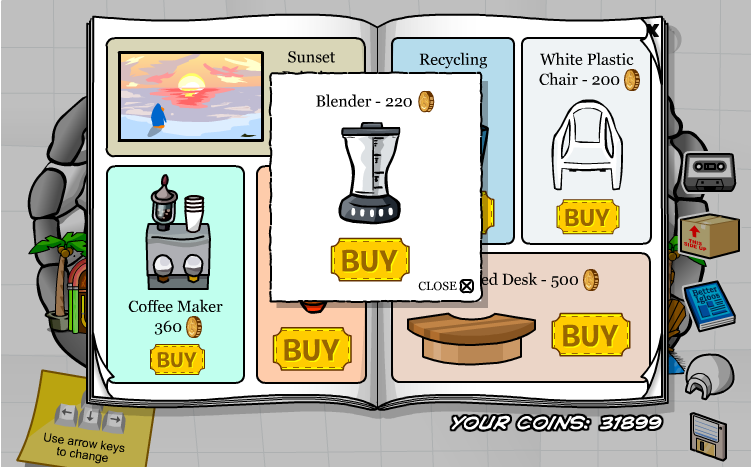 Click the lava lamp for the blender. 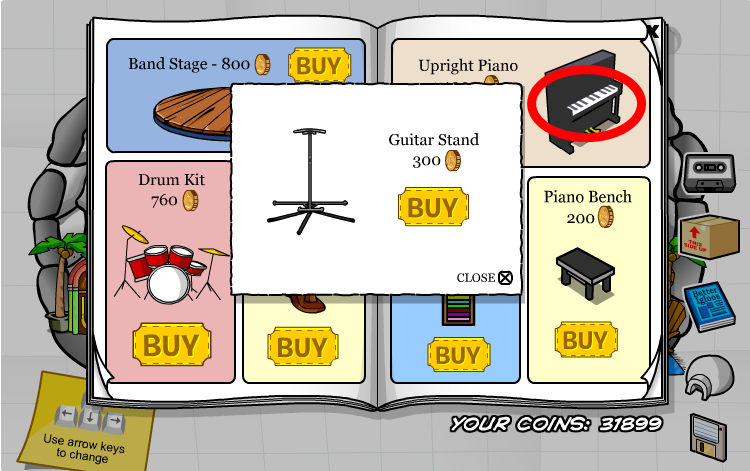 Click the piano for the guitar stand. The pin is in the boiler room on Club Penguin. Sorry that I haven’t been posting much. I’ve been really busy in real life with my friends and concerts and such. Maybe this will lead to quits since school is starting soon? Who knows! We’ll just have to find out and see..
Back From Vacation & Club Penguin Red VS. Blue Sports Party Is Here! I’m back from vacation. While I was gone there was a few updates, and it looks like Wwe Adam forgot to update for me! I’m not going to post the Club Penguin cheats for this party because I’m pretty sure you all know what to do. Hey well I’m leaving on vacation tomorrow morning, so I won’t be posting. Wwe Adam will be posting for me while I’m gone! I’ll be gone for a week so I will be back next Saturday. There is a new Club Penguin sports catalog and a new Igloo out today on Club Penguin. 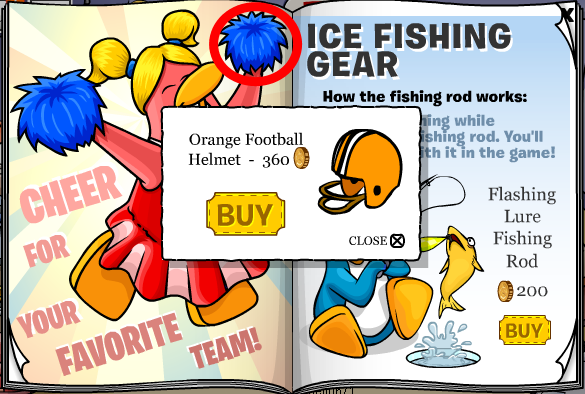 Click the cheerleaders pom pom to get the orange football helmet. Here is the Club Penguin cheats for the new Club Penguin times newspaper that came out today. Don’t forget that the Club Penguin games party is coming up on August 22 – 26! You won’t want to miss out! This Friday, Rockhopper has announced that there will be an igloo having the migrator theme. Here are some upcoming events happening in Club Penguin. I’m going on vacation Saturday so I’m going to try and stay off the internet while I’m gone. Rockhopper’s Game Is Now Working In Club Penguin! Rockhopper’s game in the Migrator now works. Don’t forget! You’re going to need Rockhopper’s key before you play the game. It’s located in the Book Room. Finally! It’s here! My new Club Penguin music video. NOTE: You can double click the video to either comment, rate, and/or favorite. It’s not my best, I have been super busy lately and that shows since I haven’t made one in over a month. 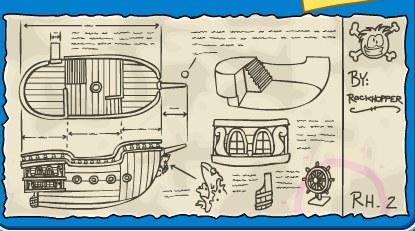 Here is Club Penguin’s Rockhopper’s paper boat scavenger hunt cheats/walk through/tutorial/spoiler! The first paper boat is at the Mine. 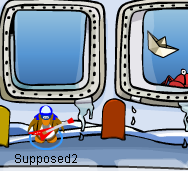 The eighth and FINAL paper boat is at The Iceberg! You get a cool background for your prize. 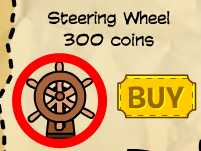 Click the steering wheel for a life ring that is for your igloo. There is a new stage! The plot is the same as last time, but the stage looks TOTALLY different! And if you throw a snowball, it turns into a dodge ball! There is also some new items too, check it out! That’s all for the Club Penguin cheats today!